Thread by @AdamParkhomenko: "1/ Breaking per CNN: Previously undisclosed emails show follow-up after Trump Tower meeting 2/ The British publicist who arranged the June 2 […]"
2/ The British publicist who arranged the June 2016 meeting with Russians & Trump Jr. sent multiple emails to a Russian participant and a member of Trump's inner circle later that summer, multiple sources told CNN, the first indication there was any follow-up after the meeting. The emails raise new questions for congressional investigators about what was discussed at Trump Tower. 4/4 Trump Jr. has for months contended that after being promised he would get dirt on Hillary Clinton, the brief meeting focused almost exclusively on the issue of Russian adoptions, saying there was no discussion with the participants after that session. #BREAKING Mueller says Manafort lied about TRUMP, per Giuliani. 🔑 KEY Issue: Did Manafort lie to coverup that Trump knew about the June Trump Tower meeting, at the heart of Russian 2016 active measures, Trump-Russia collusion/conspiracy, and coverup (obstruction of justice)? 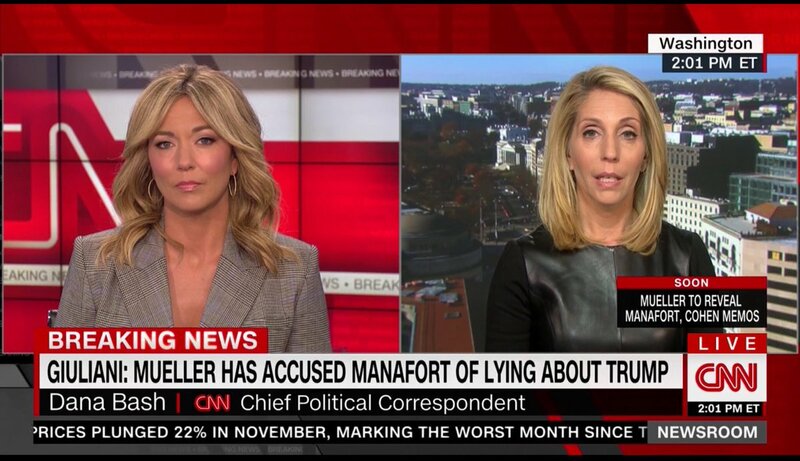 @BrookeBCNN If Manafort lied about TRUMP, that directly involves the president—not mere financial matters. 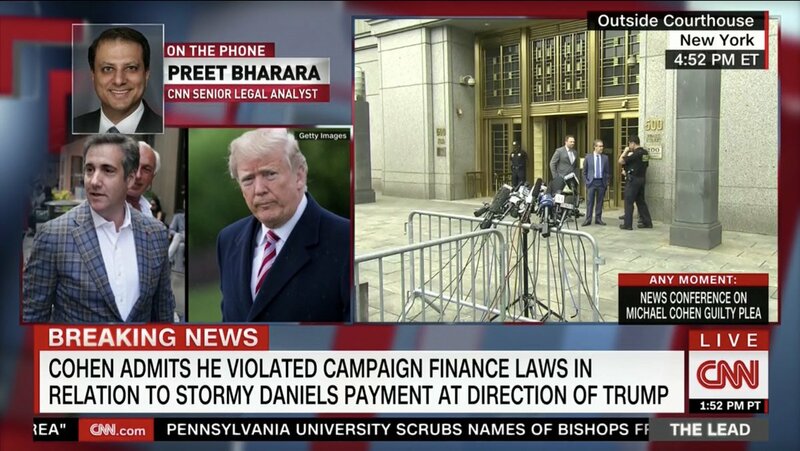 Trump's propaganda has always framed any campaign wrongdoing as not involving him. But we know he's a control freak. And likely was in on everything—ESP Trump Tower meeting w/ Russians. 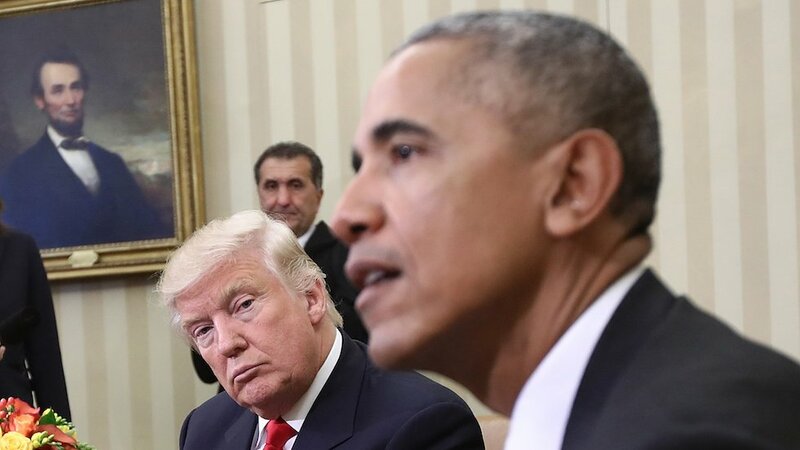 Day 518 of NO EVIDENCE produced by Trump that his phones were tapped by Obama. #BREAKING: LONDON (@AP) - Emails show lawyer who met Trump Jr. has ties to Russian officials. How surreal to watch pomp and circumstance for Trump in London alongside mass protests. 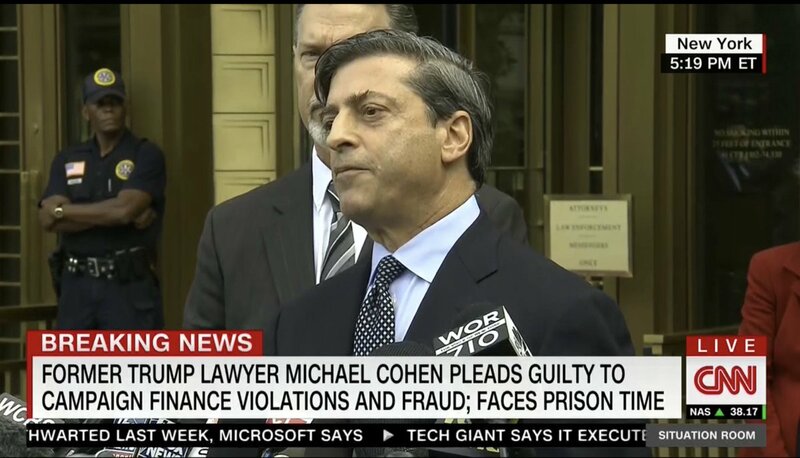 And now new charges in Russia probe on Friday 13th. 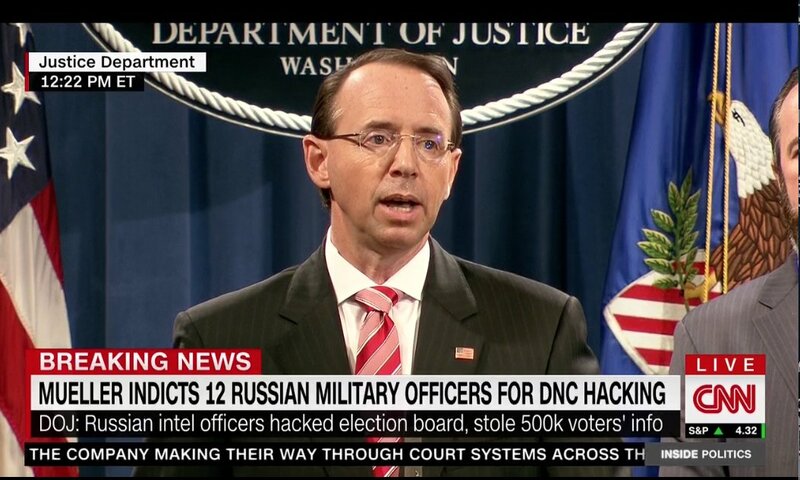 BREAKING Rosenstein: Mueller indicts 12 Russian military intelligence officers from 2 GRU units in hacking DNC and disseminating documents via DCLeaks and Guccifer2.0—both created and controlled by Russia's GRU. 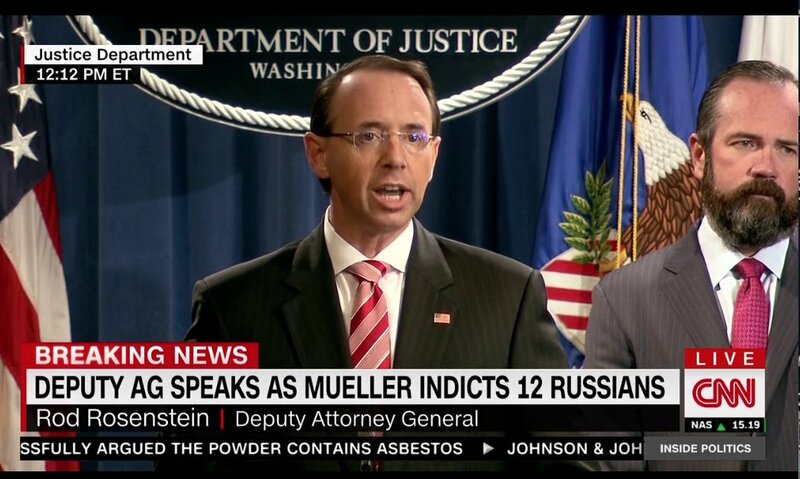 NEW #Mueller indictment makes 25 Russians now charged for crimes in Russia's 2016 election interference. Hacking includes election boards & stealing voter data. Rosenstein told Trump last week. He emphasized that this shouldn't be approached politically. "We must be united." Wow.